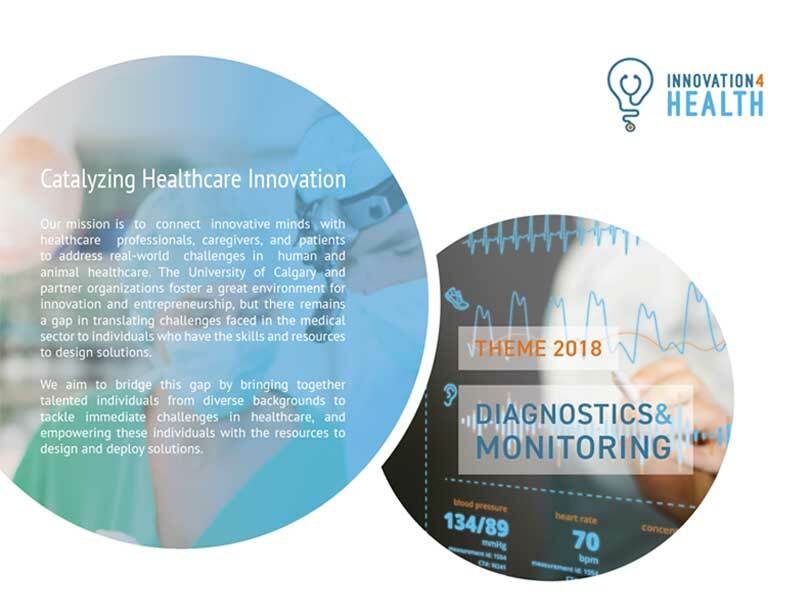 Innovation 4 Health is a University of Calgary-endorsed hackathon program focusing on catalyzing innovation in human and veterinary healthcare. The hackathon mobilizes multidisciplinary teams of students of engineering, science, nursing, business, and medicine to develop functional prototypes that address medical challenges. Learn more about how you can get involved by visiting the I4H website.